It’s day three of real estate week here on the Bruce Clay blog. 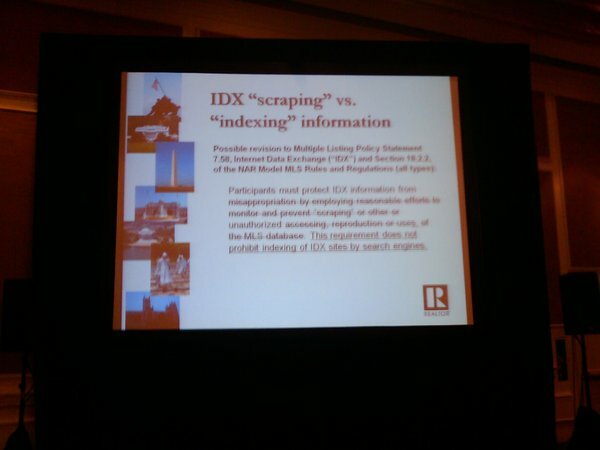 We don’t typically focus on a single industry in our coverage of all-things-SEO, but the current controversy over whether Google should be allowed to “scrape” listing information from IDX Web pages is a golden opportunity. It’s timely, too, because this week thousands of real estate industry leaders have converged on Washington for the annual Midyear Legislative Meetings. Before I take the real estate industry as a case study and prescribe some SEO/SEM medicine to cure their ills, there’s an update to the story! Breaking News from Washington, D.C. In case you can’t see it clearly, the revised policy reads: Participants must protect IDX information from unauthorized use. This requirement does not prohibit indexing of IDX sites by search engines. So NAR sees the difference between unauthorized site scrapers and search engines. Hallelujah! This is a happy day for real estate professionals, who know they have been losing the Web marketing battle for years. Don’t spend a minute wondering whether you should back out of the IDX data share. 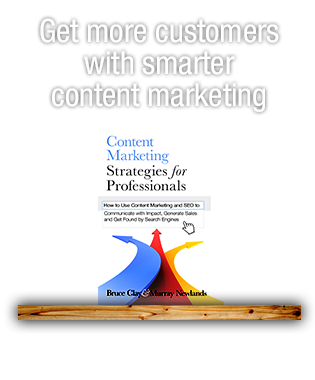 It’s time to put that old fearful thinking behind and go full-steam ahead into Web marketing. Redefine yourself as a service provider and let go of the role of information hoarder. That self-image should be left crumbling in your trunk with the last edition of the old MLS book. Instead, instruct your webmaster to allow your IDX pages to be indexed as soon as you hear the all-clear from your local MLS. And consider creating static pages with listing information in addition to your framed IDX searches and displays. 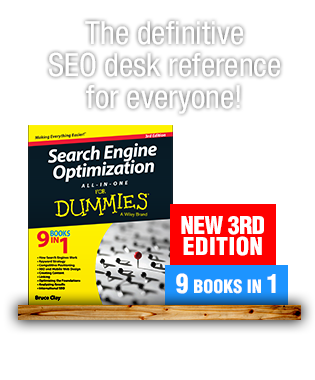 You want to give the search engine spiders lots of indexable content to chew on! And read on for more advice as I use the real estate professional as a case study for applying Web marketing and SEO. SEO to the (Real Estate Industry’s) Rescue! Perhaps NAR’s change of heart was the result of an “ah ha!” moment. Maybe, just maybe, they realized that by allowing REALTORS&#0174’s sites to be better indexed, the industry might be able to claim more search engine real estate (pun totally intended). One can always hope. Most real estate professionals understand that they desperately need to improve their online presence. But how? Despite the fact that most for-sale property information online originates with their listings, third-party Web sites get the credit. Run a Google search for real estate for any local area and you’ll find at most one or two broker sites ranking on the first page of the SERPs. Primarily you find third-party real estate search sites, like Trulia.com, Homes.com, Zillow.com, Movoto.com, Yahoo! Real Estate, and the industry flagship Realtor.com. Many of these sites do direct traffic back to the listing broker’s Web site if people click to “view more details,” but not all. And there’s no reason why a successful local broker’s Web site should not come to the top when it’s their neighborhood’s real estate that’s wanted! After all, they ARE the experts. #1: Befriend the search engines. If you don’t already, understand that Google is not your competitor, but your ally. When people search for a property in your area, you want them to find your Web site, right? Do a good job of letting Google know what you’re all about. Put plenty of original text content on your site using keywords like “real estate,” “homes for sale,” “My Town Name” and lots of local area references, and that can happen. #2: Submit your listings to Google. Brokers should be proactive andsubmit your listings to Google directly. You should be the one to get the information out there first. Consider submitting to the other search engines, as well. Yahoo! charges a hefty fee for this ($49.95 per listing), so check to see if your brokerage firm lets you do this on their dime. Look at all those fields! 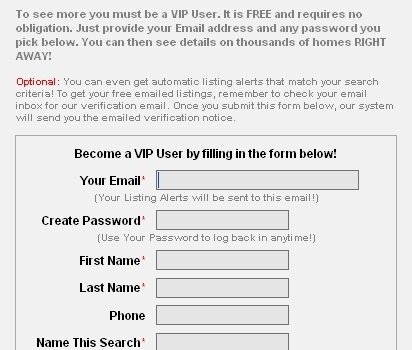 Now I don’t know how many people searching for home information actually take the time to fill out a form like that. Maybe it’s working for some brokers, and they’re really getting prospects this way. But what I do know is that search engines can’t get past these forms. They’ll act like a roadblock to search engine spiders, and your listing information won’t be indexed. They may also be diverting users away — after all, why fill out a form when so much listing information is easily available through the third-party sites? #4: Build links to your site. I checked a bunch of broker sites’ link counts. (You can do this using our handy free SEMToolBar, or by doing link: searches in Yahoo!) Not surprisingly, they had almost no inbound links. Seriously, the most I found was “3” links, and those were internal! If real estate is essentially a local business that builds credibility by networking within their communities, why isn’t that network being reflected on the Web? As any SEO can tell you, without links to help establish your authority on a subject, you don’t have a very good chance of showing up on the front page of Google. One more point about building links is that not only do search engines quantify the links to your site, they also follow them. So if you’re sure that for usability reasons you want to keep that roadblocking contact information form I mentioned before in place on your site, you can at least LINK to static pages all about your featured properties and other information. Spiders can then index those pages by following the links. If you want your site to be found in the SERPs, you’re going to need to make it different. Write about your local schools, neighborhoods, hang-out places, and your favorite frozen yogurt shop. Talk about new housing developments underway, changes in the rental market, and so forth. Give your site lots of locally specific information for the search engines to index. Then the next time Mr. and Mrs. Homebuyer go to Google and search for homes for sale in your area, your Web site might just be the first one that pops up. Ian – With the goal to “be passionate and SEO-friendly,” it sounds like you’ll differentiate yourself from the majority of real estate professionals online. Good for you for realizing that the prefab template would be more of a hindrance than a benefit. The broker should be willing to give you various branding images that you can incorporate into your own design. The extra work you invest in creating a unique Web site that has community-related content and a clear, SEO-friendly site architecture will pay off in the long run. Feel free to contact us if you get stuck along the way. Best wishes to you in your new business! Be an ambassador for your community. I’m new to real estate and will be registering my license next week. I’ve been interviewing brokerages and they have shown me their prefab point and click templates as one of the “benefits” of becoming an agent with them. All their sites look them same and they all have the same content. Let’s try something new and be passionate and SEO friendly about what we do. Jay Thompson, who was the second agent that addressed the MLS Committee last week, also commented on this at Search Engine Land (http://searchengineland.com/google-is-scraper-says-national-association-of-realtors-19046), noting that it will be "six months from now" before the issue comes up again. Well, REALTORS, all I can say is there’s a lot you can do in the meantime to prime your Web site and start showing up for local property searches in the search engines. If and when IDX indexing is allowed, it will be like adding more oil to your Web site gears that are already in motion. Cal: Point taken! It sounds like you are well on your way to succeeding in the Web marketing aspect of selling real estate. The competition will only heat up from here, and those who’ve taken the time to learn and apply SEO principles to their sites will have the advantage. Thanks for sharing your thoughts. Yes, and for the majority of them you can tell them to put up unique content about the areas they serve and they never do it! They just don’t get it! I have taught technology classes to hundreds of agents and 99% will sit through the class, ask irrelevant questions, make wise cracks, and carry on side bar conversations through the most important parts of the class and then never do anything to their site other than leave it just like they got it. Many of those that refuse to put in the time and effort creating sites with relevant, quality content are the same ones that complain that other agents are getting traffic for their listings. Go figure! Perhaps there is a way to cut off the tech savvy agents efforts and make everybody equal – hah! By the way – I also know many agents that have excelled with the web and have done so not through classes, but from their own curiosity and desire to learn – from Google! STLrealtor: I’m glad we could help move you beyond the planning stage! 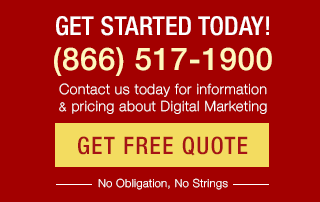 You might want to read more of our Web site, which is packed full of free SEO advice. Best wishes to you. This article gets me really excited and really scared. I think I am on the forefront of Real Estate SEO in St. Louis, I have been planning things like what they are mentioning on here for awhile, but articles like this being written is scary for everyone else to know about these techniques, but great, that I know all my ideas are legal. Thanks Very much for the mention Paula! Is it a form that was filled out? A form that was filled out and you were able to call/email through that info? A form that was filled out, were able to call/email and got a response? A form that was filled out, were able to call/email, get a response and speak to a client who needs your services at all? A form that was filled out, were able to call/email, get a response, speak to a client who needs your services at all, who is going to be needing your services in the near future/now? A form that was filled out, were able to call/email, get a response, speak to a client who needs your services at all, who is going to be needing your services in the near future/now, and hires you to market a home/find a home? A form that was filled out, were able to call/email, get a response, speak to a client who needs your services at all, who is going to be needing your services in the near future/now, and hires you to market a home/find a home, who you actually close a deal and get paid for it? Joe: You make a good point. Conversion has to be the goal, and real estate Web sites need to find the right balance between what they ask for and what they give. The forms do block spiders, though, and that remains a problem for their search marketing success. Jason: Excellent! It sounds like your buddy is ahead of the curve. I wish you much success. I am in the mortgage industry and a buddy is a real estate broker and I was aware of this issue because of him. He knew it would help increase business and at this point in time it would help the real estate market. Good information – now I have some work to keep me busy. #3 is easier said that done! I worked Real Estate internet marketing for several years before i did other things. I can tell you that most brokers and agents could care less about page views. Their primary concern is getting a prospective lead on the phone or in their office. And its forms like that, that do it. Especially since most sites that provide open access to MLS data have extremely high bounce rates, with little to no conversion. Realtors are extremely interested in SEO to out beat their competitors and to get more visability, but when it comes to providing open and free content they would rather at least get their email address first.